OzProp is a licensed boutique investment firm focusing on commercial, retail and industrial real estate investments on the Australian east coast, with an investor base consisting of wholesale investors and self-managed super funds. The founders of OzProp collectively have more than 50 years of property experience and are passionate about identifying value propositions. The company applies a thorough and disciplined approach to each element of the investment cycle, thereby ensuring extensive wealth creation for its clients. Align interests by co-investing in acquired properties with investors. Modern, fully leased retail Centre constructed in 2007 located within 2 klms of the Gladstone CBD. It is anchored by ASX listed IGA Metcash, who operate a 2199 m² store leased until 2027. In addition there are 12 specialty stores including a gym. The Centre’s gross floor area measures 4411 m², and its located on a 16 150m² site. With a convenient parking for 284 cars, attractive tenant mix the Centre is an attractive shopping destination for the neighborhood. The Hub is a retail property located in the suburb of Burpengary in South East QLD. Burpengary straddles both sides of the Bruce Highway. Burpengary is one of the Caboolture Shire's fastest growing residential areas. Measuring 867 m² and with ample carparking this retail property is leased to SPAR until 2029 with options thereafter, offering a long term secure income stream. Redeveloped in 2009 it is in pristine condition and requires no Capex. A six floor office building measuring approx.1680 m² gross floor area with approval for medical use. Strategically situated opposite Mascot train station and 900 metres from Sydney domestic airport it is positioned on landmark corner. The recently completed property was acquired vacant due the occupation certificate not being obtained. OzProp is currently in the process of alterations to obtain an occupation certificate and has commenced an active leasing campaign. Investment opportunity into a Leased Logistics Asset located in Queensland. Projected income distribution of 7.5% in year 1. Strong covenant and long lease in place. We are pleased to present the latest investment opportunity from our partners at Oz Prop Capital. 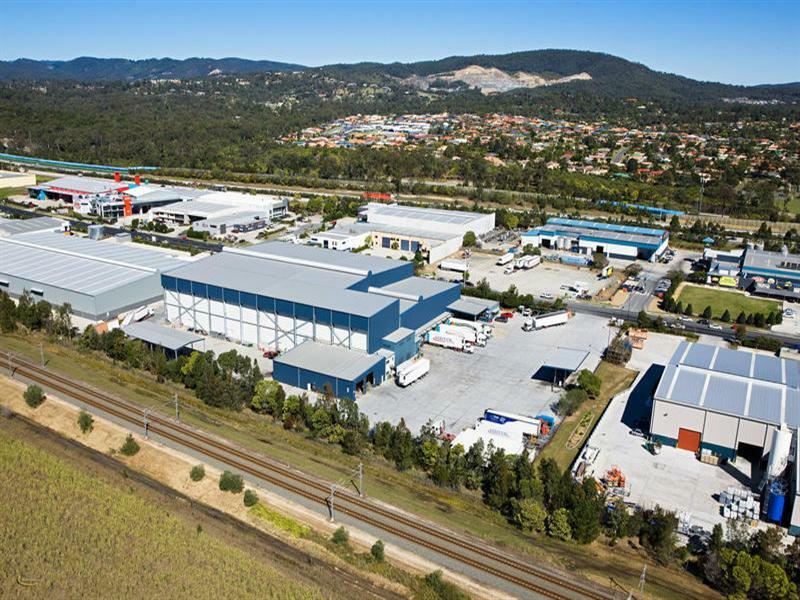 The asset is a Cold Storage Logistics Centre, located in the established and dominant industrial precinct, strategically positioned adjacent to major road infrastructure linkages to Brisbane, Gold Coast and Ipswich. The building is leased to Scott's Refrigerated Freightways, a 100% subsidiary of the ASX listed Automotive Holdings Group (AHG). We believe the logistics sector and in particular cold storage freight, have excellent market fundamentals within Australia currently and into the future. 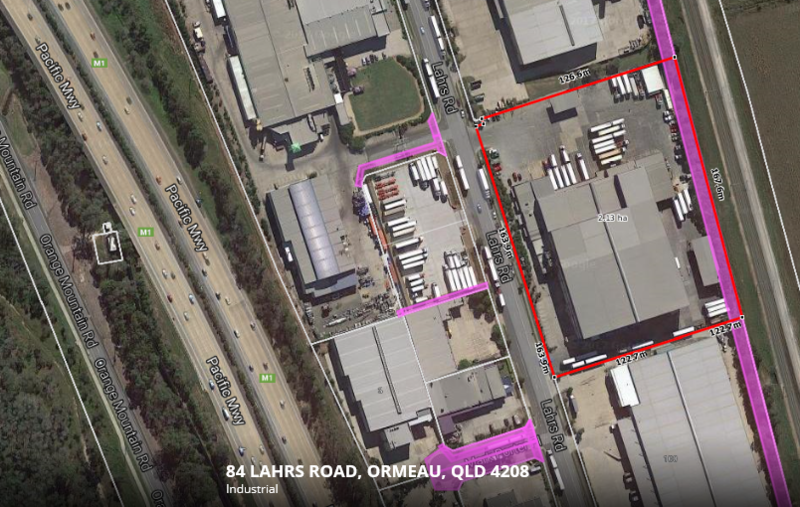 OzProp Holdings Pty Ltd has entered into an option to purchase a fully leased cold storage/logistical property located 84 Lahrs Road, Ormeau, QLD for the price of $22,000,000. The acquisition price reflects a net passing yield of 8.06% which is indexed annually ( CPI or 3%, whichever is higher). The precinct is underpinned by major road infrastructure and linkages to Brisbane, Gold Coast, and Ipswich via the Pacific Motorway and Logan Motorways. 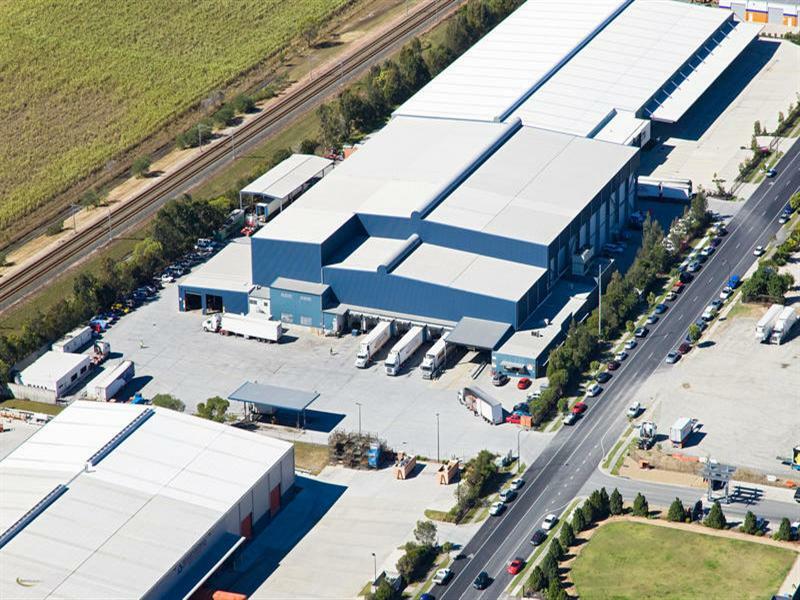 The 7,485 m2 complex situated on 2,12 hectares of land is 100% leased to Scott Refrigerated Freightways, a 100% subsidiary of the ASX listed Automotive Holdings Group (AHG). The improvements comprise a purpose built cold store facility with ancillary office provided over a single level. The cold store accommodation has internal clearance height of approximately 11.5 metres to the main freezer and approximately eight metres to the loading dock. Access to the loading dock is provided via ten roller shutter doors with levelers. Other improvements to the site include three concrete crossovers, on-site parking, boundary fencing and basic landscaping, Diesel refueling depot, workshop and driver accommodation. Based on the acquisition price the property is being purchased at $2,939 per metre of the net lettable area which is considered to be below replacement cost. The lease expiry date is 29th April 2024 which is approximately 7 years. The proposed investment strategy is to acquire the property as is and to hold this property longer term (7-9 years). The secure long-term income stream (which is indexed at above the inflation rate) will allow the property to derive a forecast annual distribution of 7.50% (paid quarterly) from rental incomes in year 1. Income distribution will commence in the first full quarter following settlement. An Internal Rate of Return (IRR) of 10% over a 5-year term (based on its current usage) is anticipated. The Trust intends to enter into a property management agreement with GSED Pty Ltd which is a wholly owned subsidiary of the OzProp Group. All fees and charges will be applied at a commercially agreed rate, indicatively an annual management fee of approximately 3.50% of gross rental income will apply. A copy of the property management agreement will be made available to investors upon request post settlement. Vidal is responsible for the property management of the Ozprop portfolio. Vidal has an extensive background in property management & leasing in all sectors of commercial property management with over 7 years industry experience.